One of Argyll and Bute’s leading salmon producers may net three category wins in a national food competition. The Scottish Salmon Company (SSC), which has a major processing plant at Cairndow, has been named as a finalist in three categories at the prestigious Scotland Food and Drink Excellence Awards 2019. Salmon is Scotland and the UK’s largest food export and its exports represent 60 per cent of sales to 26 countries around the world. The shortlisting recognises SSC’s achievement in growing its export business through a commitment to provenance guaranteed and the development of its clan of brands including Lochlander Salmon, Tartan Salmon Label Rouge and Native Hebridean Salmon. 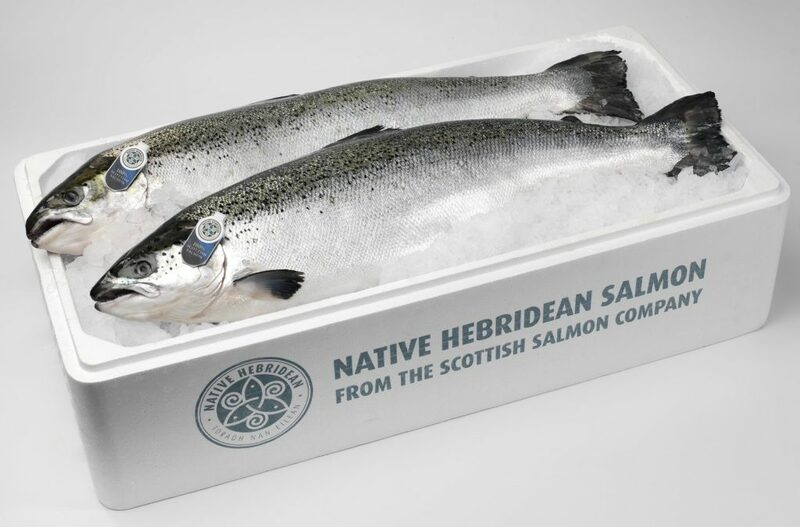 A truly unique and native strain of Scottish salmon, Native Hebridean Salmon descend from North Uist and are reared exclusively in the Hebrides. SSC chief executive, Craig Anderson, said: ‘We’re delighted to be short-listed for not one but three categories at these coveted awards. ‘With over 600 staff across 60 sites in some of the most remote and rural areas of the West Coast of Scotland and Hebrides, we are passionate about our Scottish provenance. ‘It is our commitment to Scottish provenance and authenticity that sets us apart in the global market. Now in its 20th year, the Excellence Awards focusses on the stand-out products driving value and consumer choice in the market in line with the overarching Ambition 2030 strategy to double the value of the industry. James Withers, Chief Executive of Scotland Food and Drink, said: ‘Every year the Excellence Awards attracts an incredibly diverse range of entrants, all of which are of a very high quality. ‘This year we’ve had a record number of entries and the standard has never been higher. ‘While tasting each of the products entered into the awards sounds like a dream, in reality, selecting the very best of the best has been extremely difficult for our expert judging panel. The awards are organised by Scotland Food and Drink in partnership with The Royal Highland and Agricultural Society of Scotland (RHASS) and headline sponsor Asda. Winners from will be announced in front of 800 guests at the prestigious awards ceremony and dinner on Thursday May 23 at the Corn Exchange in Edinburgh.